Pezzetti, meaning ‘small pieces’ in Italian, are printed from off-cuts of my sculptures in wood. 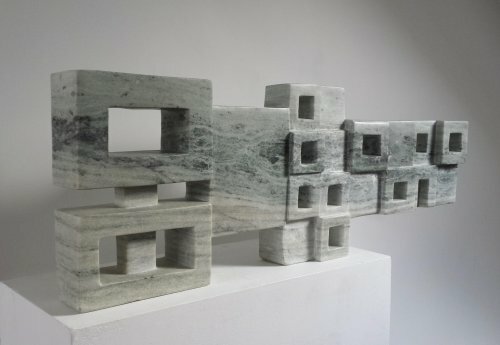 The use of off-cuts from carvings continues my method of using material wastage from this process to inform and make other artworks in a different medium. All of the prints have been made on Chinese paper and are hand burnished. Each piece of wood within a design is separatley printed. This procedure allowed me to make use of the texture of the wood, its grain and the marks left over from the cutting.